I read this article and found it very interesting, thought it might be something for you. The article is called 10 Accommodations to Stay in Palma and is located at http://trip-n-travel.com/listicle/13718/. Most of the hotels in Palma features great rooms. Of course, some also have a scenic balcony. Look for rooms with a great view so you can really have a relaxing time in Palma. In addition, most hotels have buffet lunch or dinner which is great. We’ve gathered a great list of Palma hotels for you to choose from. The Castillo Hotel Son Vida have an awesome room service. This is available for all guests. If you decide to upgrade a room or your rooms, they can give you free coffee, tea, and juice. They can also give you the best balconies. The VIP Suites may include bonuses like small kitchens and whirlpool tubs. You will notice their beautiful designer toilets. They may also direct you to your private spas. Other amenities include restaurants and pool which is great for a lot of people in Palma. The place of Hotel Nixe Palace features marvelous rooms with kitchenettes and designer toilets. Quite obviously, they can provide everyone with great room service. If you get hungry, go for the top best seafood restaurant at the beachside terrace. Also, look for a lobby bar and of course the pool bar. Also, ask for the spa, hot tubs, and the hot steam room. They may also offer wellness treatments and massage. Other palace perks include the gym, outdoor pool, business center, and fitness center. The BQ Belvedere Hotel offers a popular beach shuttle for their guests. Also, they have complimentary parking spots. They also have a relaxing and deliciously cooking all-day buffet restaurant dinner. Other eateries include the cafe, pizzeria, and a drinking bar. These are located somewhere near the outdoor pool. The other BQ amenities include the two warm and hot tubs. You will also like their relaxing garden. If you like to buy stuff, go to their grocery store. They also have wellness, bike rentals, kid’s center, massages, daily activities and nightlife. If you have children below the age of two, the kids can actually stay for free. 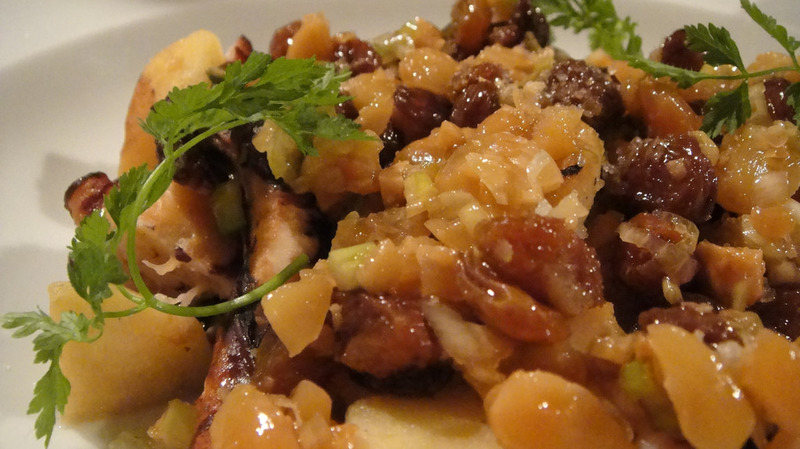 They have a delicious and informal restaurant that serves international, Andalusian and Palma cuisines. Sometimes, they provide cooking demonstrations, but not quite as often. It is not a regular thing. However, they have an awesome outdoor pool that overlooks the scenic sea-view sundeck. It has umbrella-shaded tables and lounge chairs. The Nautic Hotel have ultra modern rooms and VIP suites. Not most offer room services, but most of the rooms have flat-screen televisions and free fast internet Wi-Fi for online geeks. They also offer balconies and minibars. Some rooms have great terraces. Most upgraded rooms, spots, and suites are shown the scenic views of the beautiful bay. Look for the contemporary diner, cafe, bar or restaurant in their bay-view outdoor areas. You can ask for other amenities that include a gym, a spa, and cool swimming pools. They are located at Carrer Virgili, 24, 07610 Can Pastilla, Illes Balears. The Hotel Playa Golf has a good standard from tourism department of the region. They offer a breakfast buffet that is very rich and leaves you to not wish for more. 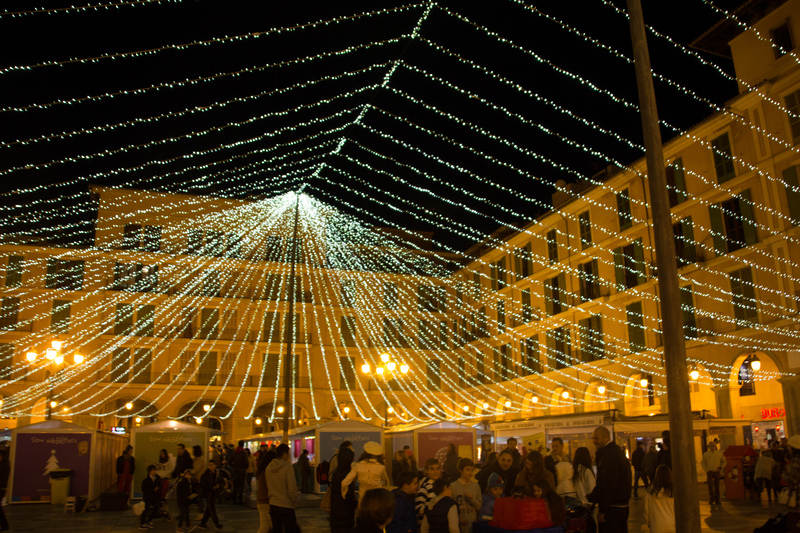 The location is in the very central of Palma, which is great if you go to the party areas and disco. Since you will go here, go in the non-peak seasons. The noise at night was limited. They have staff that is of course very helpful. Some speak fluent Spanish, English and other European dialects. They have a highly recommended car rental from their hotel. Some of the downsides are that the hotel asks to be paid for their extra and additional hotel services, but everything else is okay. The Blue Bay Hotel Cala Mayor has this lovely view of the environment and bay. 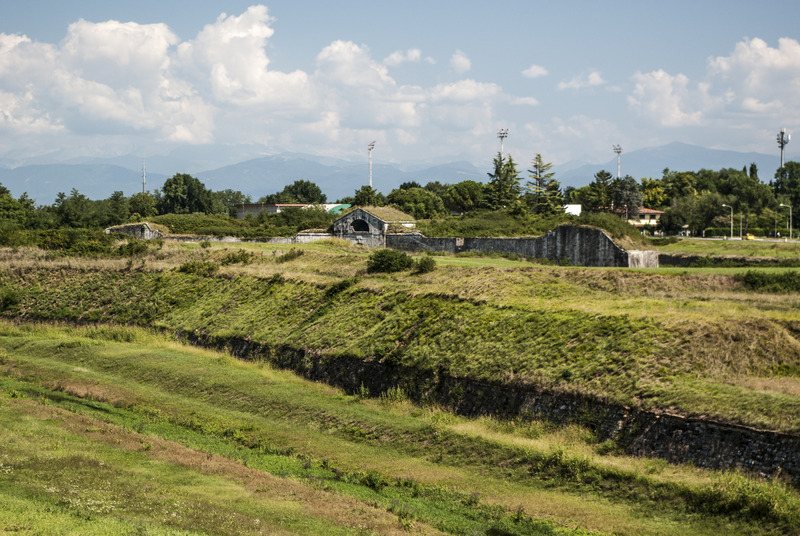 If you don’t mind walking down, you can also walk up a fairly and quite steep hill range. This is ok for the fitness buff. You can ask and work out for a bus service that can also take you up the high hill. Sometimes, you can book again but you can miss the breakfast. The hotel is fairly dated, renovated, clean and very tidy. The Hotel RIU San Francisco staff is very friendly, with a Palma hotel price that is good. The food from the hotel is awesome and excellent! This is a beautiful hotel with new and modern rooms. All rooms are comfortable, with great service that is top notch. All the staff is extremely helpful but super friendly to all. Their restaurant is over the top with many choices and variety. Some of the downsides are you can not open the windows. However, proceed towards the sea turns at night for entertainment street night life. Call them at +34 971 26 46 50. The rooms of Pabisa Bali Hotel in Playa de Palma in great and beautiful order. You will hear no night noises and disturbances. The food is quite fine and delicious. Try all those exotic flavors. Take note already that twice of the same may have inclusive fees. One should sometimes opt for the Pabisa premium which has the all inclusive for all the inclusive services and amenities. This works out, especially if you like alcoholic beverages. 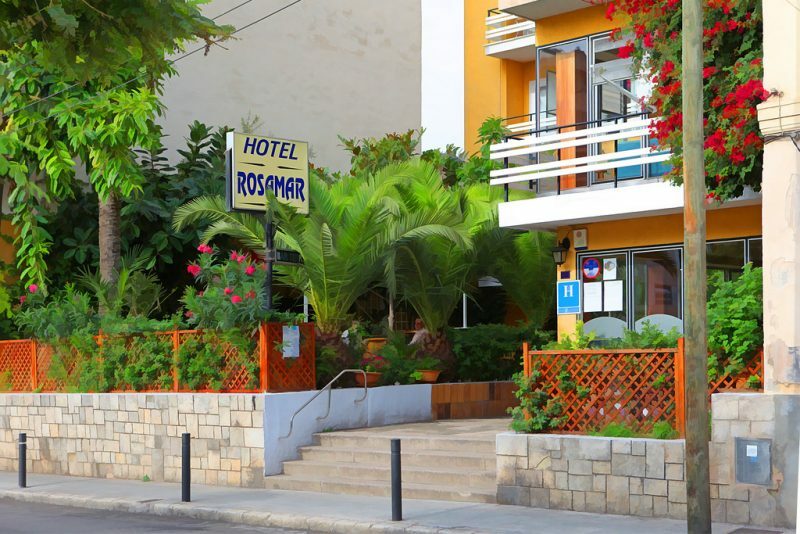 Furthermore, this is a great Palma hotel, with a great price to quality ratio. They are located at Padre Bartolomé Salvá, 18, 07600 Mallorca. Hotel Aya has a great location right at the awesome promenade near and on the beach. They have countless shops, cafes, eateries and dinner restaurants in the immediate site or vicinity. The lobby of Hotel Aya is quite spacious, with plenty and a lot of seating capacity. The rooms at the top floors have stunning views of the sea bay of Spain. 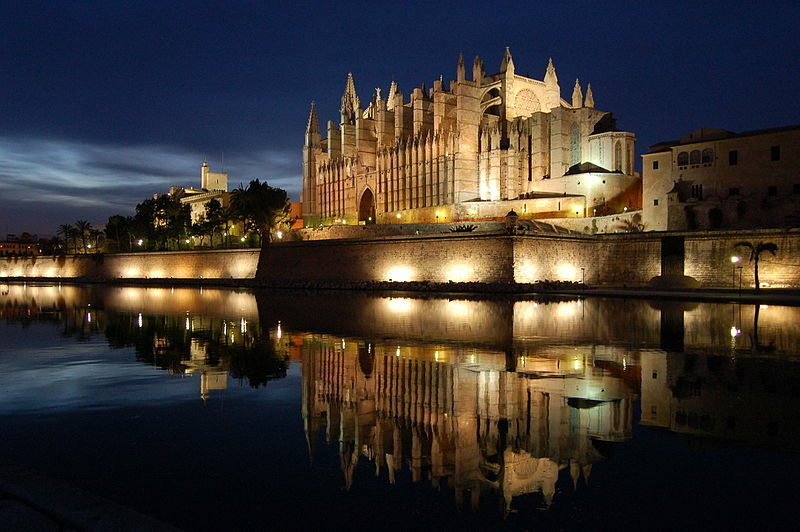 This especially good if you like beautiful the views in the evening and would like to see the illuminated Palma. Look for hotels with balconies and terraces in Palma hotels. This can give you relaxing views. If you stay in a holiday, this will be invigorating for you and your partner, especially if you will have a honeymoon. Of course, this is great with your kids too.